Diggers at work on fields close to Balderstone Hall. Developers behind a failed housing plan in Mirfield have been told to restore pastureland bulldozed for a contentious proposed housing estate – or face the consequences. Last month planners with Kirklees Council turned down a controversial scheme by Newcastle-based developer Bellway Homes to build 61 houses on the site. Now the company has been told by Kirklees Council to level out the land and remove bunds – earth mounds used as flood defences – that were created in readiness for the project. And in the aftermath of its failed bid to build on the land the company has also been invited to sell Balderstone Hall Fields and to draw a line under its plans. Former Mayor of Mirfield Martyn Bolt, who is both a town councillor and Kirklees councillor, said a suggestion had been made to buy the land and hold it in covenant for community use. Campaigners who fought a 20-year battle to stop the housing scheme were jubilant when planners turned it down. The decision took everyone by surprise. In the aftermath of the refusal they said the land “should be given back to nature”. A spokesman for Kirklees Council said the authority would liaise with Bellway on a way forward. “Planning authorities are always bound by national enforcement guidelines although, following the decision of planning committee, we have strongly urged the developers to immediately level the site and we will consider all enforcement options in the event that the earth mounds are not removed. “We fully appreciate the views of local people in relation to the land being restored to its former appearance. 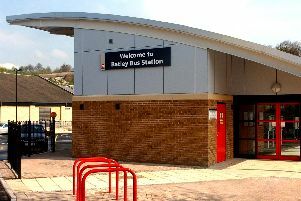 Clr Bolt said the town council’s offer would be sent to Bellway. He added: “They have been refused planning permission. The council could buy the land and hold it in covenant so that it can be used for the community. It would not be sold on. “The council can borrow or raise money. Bellway would know that it was going to be public land and not sold on for profit. “They have a liability on their hands now. They have a plot of land that they cannot develop. Bellway Homes was approached to comment.